Hair is a woman’s crowning glory. You wouldn’t like it when your hair falls off every time you comb. Even men understand this feeling because hair is designed to look healthy and voluminous. Vitamin A is very important in cell regeneration or reproduction that contributes to all cells growing on the body and this includes your hair. It is also an antioxidant safeguarding your hair follicles from damaging effects of free radicals. However, you shouldn’t use a lot of vitamin A because of its toxicity. How? You ask, well, it is fat-soluble and easily absorbed, but in excess it is a toxin that causes hair fall. Therefore, the best hair products only have minimal amounts of the vitamin. Also called vitamin B5. Deficiency of this vitamin results in hair loss. Hairfinity reviews have vitamins as the main effective ingredient and these vitamins have been shown to greatly reduce and/or reverse hair loss. A supplement with pantothenic acid will reduce hair thinning by strengthening the cells and hair follicles. With this nourishment, you will have healthy hair and even less itchy scalp with dandruff because of new cells that grow continually, therefore, dead skin cells are removed. It works in conjunction with Vitamin A in facilitating hair growth. Hair loss is curbed with niacin in diet because this vitamin increases blood circulation while also maintaining the structure of blood cells. Efficient blood flow to your scalp means more oxygen. Your hair follicles love oxygen and nutrients, resulting in rapid hair growth when using niacin supplements. Niacin works with biotin in enhancing hair growth. 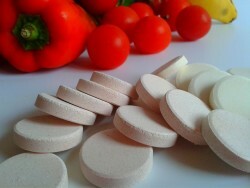 Another effective vitamin in supplements that will have positive effects on your hair. Alongside Niacin and other B vitamins, hair follicles receive sufficient nourishment that will make your hair fuller, longer and stronger. Since it replenishes follicles and roots, you will have a great hair color. Everyone loves dark or rich-colored hair. You should however note that use of antibiotics and alcohol consumption will affect the absorption of biotin and you may not get the expected results if on it either. Cobalamin aka vitamin B12 is effective in promoting hair growth. This happens directly where cobalamin enhances formation of red blood cells that will reach the hair follicles carrying oxygen to the fibrous and keratinous hair shaft. This makes your hair luxurious. 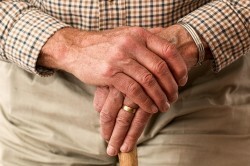 Deficiency of cobalamin results in hair loss. Well, you can’t have beautiful hair and skin without vitamin C in your diet. 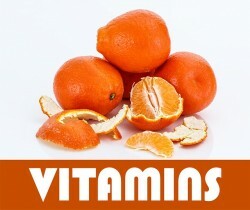 Vitamin C is essential for regeneration of collagen. Collagen is the determining factor for your hair’s strength and it does this by enhancing iron absorption that keeps hair strong and healthy. In conclusion, you should eat right for healthy hair. Besides using the best hair nourishment products, eating right should be a main priority because the nutrients will be absorbed right into the cells directly enhancing hair growth.